Welcome to The Spa - in Lancing! At The Spa we aim to bring you Affordable Luxury, so whether its a Fish Spa, Manicure, Massage or Cut and Blow Dry there is a price to fit every budget. We strive to achieve excellent customer service & appreciate all feedback in which we can use constructively to enhance the skills of our therapists, management team & appearance of our surroundings. We have recently relocated and we look forward to welcoming you into our new larger surroundings and hope to see you soon. My 8yo daughter decided to cut her very long hair and donate it to a wig-making charity, and was also doing some fundraising for the charity. I contacted The Spa to book an appointment for the cut and to see if they wouldn't mind donating a prize for a raffle draw, which they very kindly, and readily agreed to. The charge for the haircut was also waived and so we added this to the money donated to the charity. I really cannot fault The Spa. The service we received was wonderful, and my daughter felt like a VIP. Their kindness and generosity was over and above anything we expected and helped us raise even more money for a very worthy cause. I cannot thank them enough. Unfortunately the local paper didn't send their photographer, as promised, because I really would have liked to provide them with some free publicity, which I feel they so richly deserve. This was not our first visit to The Spa, and as I have always been happy with the results, it definitely won't be our last. I came for a fish pedicure with my friend and the treatment it's self was really good. Unfortunately besides from the lady who first greeted us at the desk, the service from the other ladies was appalling. We were offered no drinks, never checked on, no eye contact with us was even made. There was a strange atmosphere and it was all very unprofessional that the women were more interested in checking there phones and talking amongst themselves than the clients in the room. Before paying we were almost charged too much and when we politely pointed it out that we thought there was a mistake, the amount was then corrected with no apology. Went today and received a warm and friendly welcome. 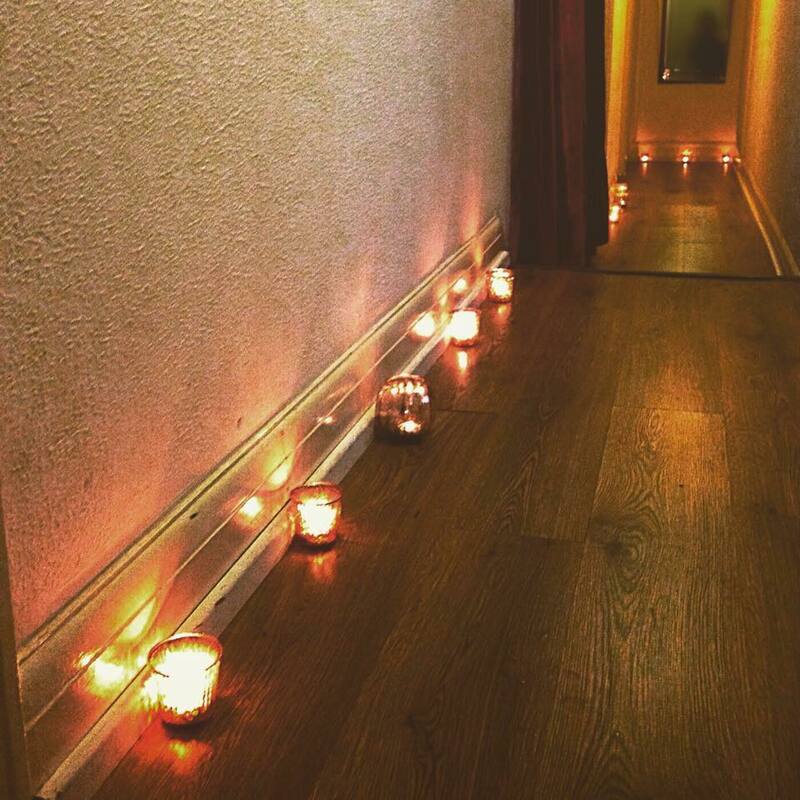 We had an Indian head massage and both felt very relaxed and enjoyed the experience. We will definitely be coming back again. A wonderful, relaxing treatment. Highly recommended. My friend and I had the luxury Pedicures today and found it very relaxing and peaceful in the surroundings. The girls were friendly and professional and gave our feet a top class treatment. Thank you. I had a manicure and pedicure plus eyebrow wax and tint. The staff were all lovely and friendly and I had a relaxing enjoyable time. Thank you so much for everything. I had a sports massage with Maggie today and I must say it was one of the best i have had, she was very informative and I had a fab massage getting rid of lots of knots, I will definitely be back to see her again, she is a credit to your business. My Manicure was also done very well with no faults to be found. I had a fish pedicure today, which I've had many times, so thoroughly recommend. Then a shape and paint on my toenails. I chose the colour with Pip as I wanted her expertise. The owner came over and we talked about mail art. I chose to have it. I really wanted some more advice so it was very welcome and I appreciated the owners hands on approach. Finally I had an eyelash lift. What an unusual experience! I have short lashes and Frankie only had a medium appliance. She said she would order in a small, so I could come again. However when I looked in the mirror (and later when I showed my husband) we could both see a huge difference and I will definitely be going back. All in all, I felt it was a wonderful personal service and I recommend The Spa in Lancing, very much. Just had my first lash lift treatment with Frankie and absolutely love the finished look! I received a warm welcome and found all the staff friendly and approachable. The Salon was clean and tidy including the treatment room I was in. This was my first "wrap" and the treatment was explained to me and carried out quickly and efficiently. I can fully recommend the treatment and the Salon. I will be going again. Fantastic time at The Spa - Lancing having my shoulder length hair restyled into a graduated bob by Tracy. She was very friendly and chatty and made me feel more than comfortable. Would definitely go back and recommend. I had the lux lipo wrap (thermo one) on my stomach and arms (2 areas) . Pip the beautician who put my wrap on was so kind. As I am insecure of my body she took extra care of me. The gel they use has a nice smell and when the wrap is on makes you warm and tingly. The wrap isn't too tight and feels amazing. Instant results. I'm amazed. You can also have a facial (also had that) it made the experience 10 times better. Great treatment ! My skin looks really fresh , definetly going to book some more! A lovely relaxing environment,and a very lovely lady did my manicure and was chatty and friendly. My hands and skin felt amazing and soft and would definitely go back again in a couple of months! Thank you for a nice hour! I had a speedy manicure with gel polish. It was my first time at the Spa in Lancing and I shall definitely be returning. I shall be recommending this place to my friends. I was met by a welcoming and friendly member of staff,given a refreshment and promtly introduced to my masseur(MAGGIE). My booking was made quickly and simply online with a full range on offer. I opted for a sports massage. Maggie realy knew her suff and brought me great relief from several very knotted muscles.My session lasted 1 1/2 hours which included a full postute check and diagnosing the muscle tightness I had.The massage itself has done the job and I feel great and now have my full range of movement back.Thank you Maggie your a star.